International Trade Center. 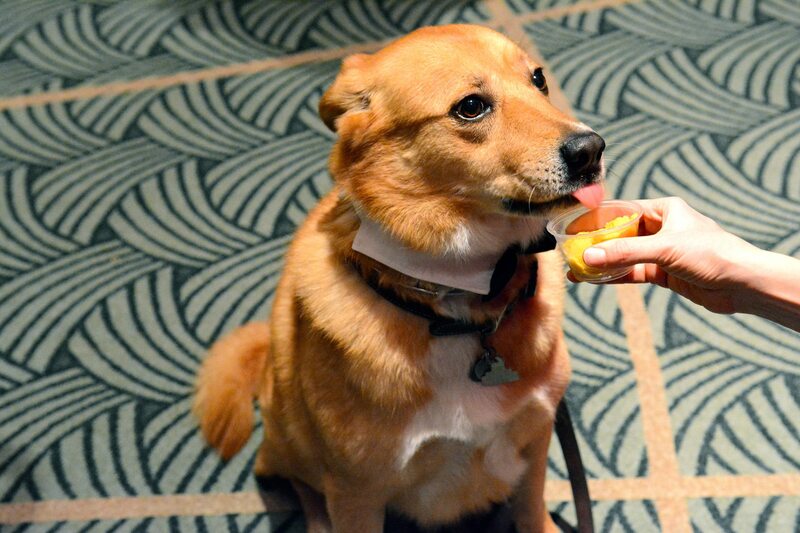 Yes, dogs were allowed inside of one of DC’s most prestigious venues. So let’s get to it, the food that is. 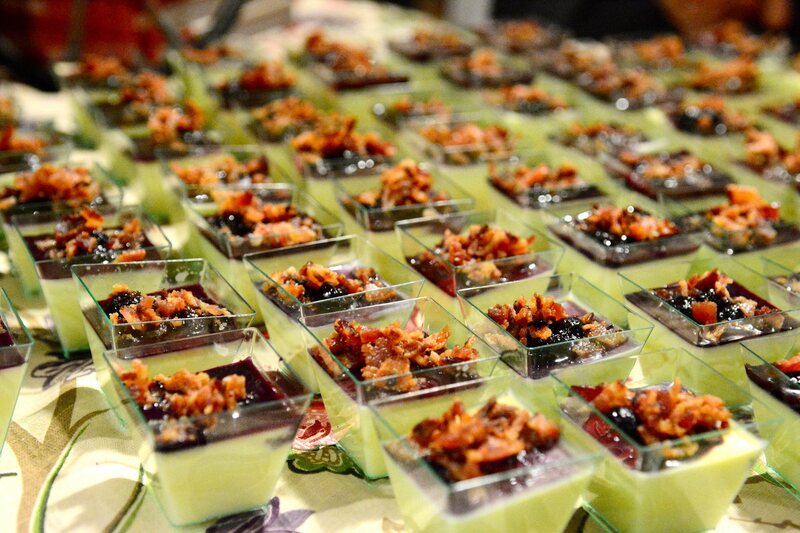 The Best Thing at the Party: Sweet Corn Panna Cotta with Bacon Blueberry Sauce was made by none other than the team from Founding Farmers. They always use bacon really well and have a knack for bringing out the best in fresh produce, so it’s not a surprise that they took the cake. 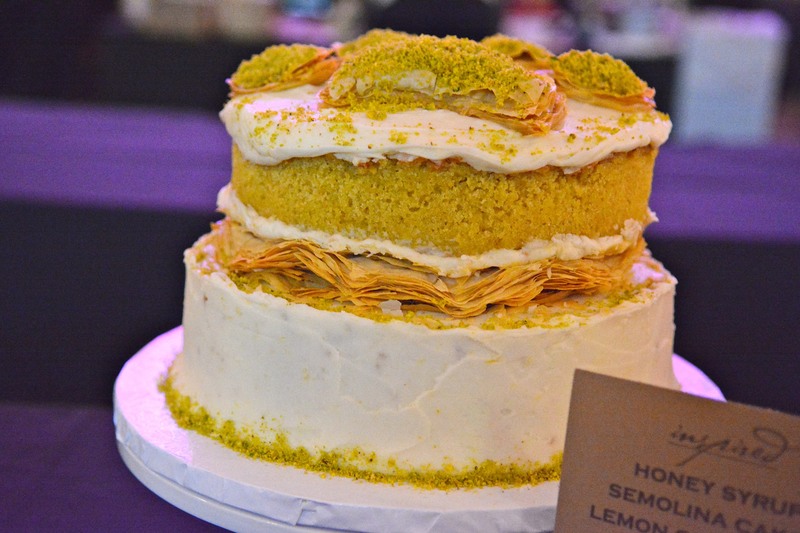 Well maybe not the cake…those accolades belong to Baklava Couture. Their semolina cake with hat tips to baklava’s sticky, crunchy texture was the perfect bite. They got my gold coin in the cake vote. You can find Baklava Couture products at FRESHFARM Markets (seasonal), Todd Gray’s Muse Cafe at the Corcoran Gallery of Art and The Mediterranean Way. Finally, we’d like to call out the very best contraband at the party (those in violation shall remain nameless). 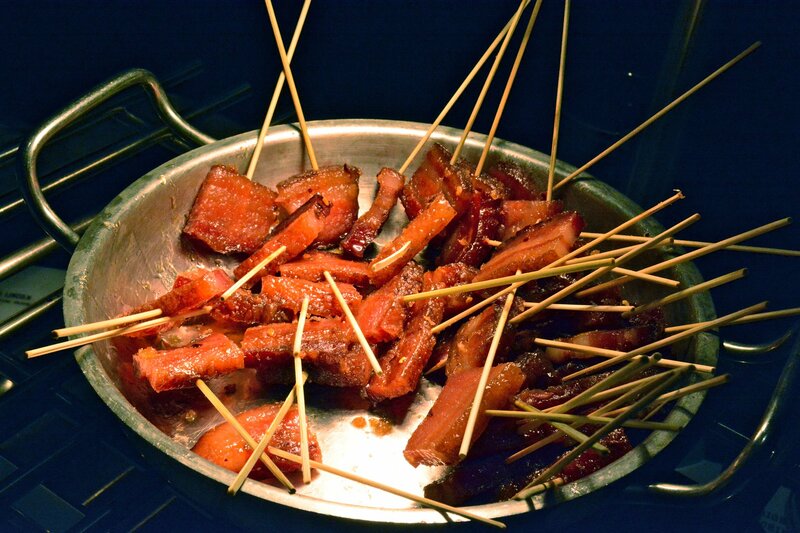 The bacon candy on a stick was otherworldly. Mmmm – thick cut and covered in a syrupy, caramelized glaze. OMGet me some more. Bacon and other meat products were apparently banned, due to the stir it would create among the four leggers. Whoops. Click here for more pictures from the event. Click here to learn about pet adoption. Sweet Corn Panna Cotta not The Best Thing at the Party? Share your favorites in the comments section.